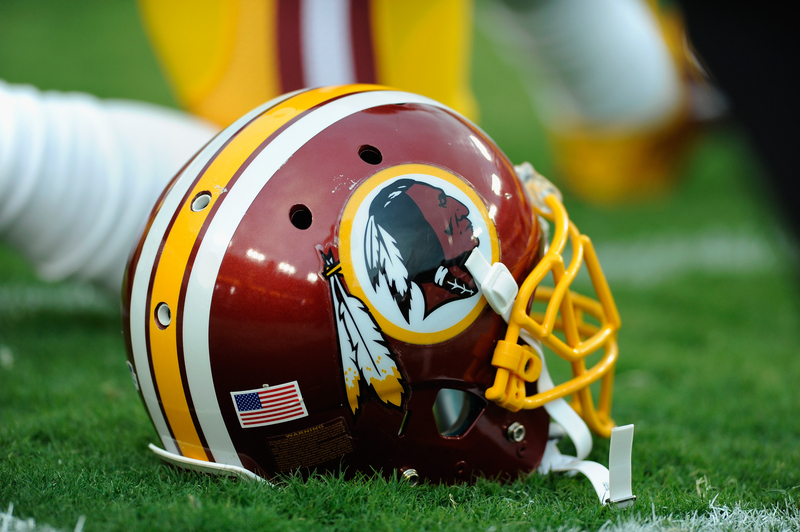 No matter how many times you read it, it still strikes a shocking note: the Washington Redskins, one of the National Football League's oldest and most venerated franchise, undeniably carrying the most racist team name in major American sports. Well, not everybody is willing to go along with it anymore — thousands protested the Washington Redskins before the team's game against the Minnesota Vikings Sunday, with as simple a message as can be: change the name. Established in 1932 as the Boston Braves, the team would ultimately settle on the offensive moniker in 1933 (although it bears mentioning that "mascoting," as the Atlanta Braves, Cleveland Indians and Kansas City Chiefs do, is no less controversial). And ever since, it has remained, most recently thanks to the tireless efforts of the team's controversial owner Dan Snyder, who claimed in 2013 that they'd "never change the name. It's that simple. NEVER, you can use caps." But this time, the protests and public awareness surrounding the controversy seem to be leaning on Snyder and his franchise with more force than usual, with President Obama condemning the name, and countless Native American organizations calling for a change. Really, the latest pressure on Snyder is perfectly exemplified by the scene outside the Minnesota Vikings' TCF Bank Stadium Sunday, an event attended by no less than Minneapolis Mayor Betsy Hodges herself. According to the Minneapolis Star Tribune, Hodges wasn't mincing words about the slur, calling it "hate." I have a message to the Washington team: The clock is ticking on your name … it is more than an insult. It’s hate. This is, by all accounts, the largest single gathering of protesters against the team's name ever — according to Time, organizers estimated 5,000 attendees, while the police pegged the figure at 3,200 — and there's something pretty heartening about that, even if it doesn't yield rapid or immediate change. But even before this year's NFL season had begun, there were already some encouraging signs time may be running out on Snyder and his dedication to the name — various, prominent NFL-related media personalities, including announcer Phil Simms, commentator Tony Dungy, and sideline reporter Lisa Salters have all indicated they don't want to use the name, including a host of newspapers and publications which have pledged to simply call the team "Washington." And, perhaps even more importantly, the U.S. Patent and Trademark Office canceled the team's trademark in June, arguing it was disparaging. Although the protections afforded by their trademark will remain in effect pending an appeal, if it fails the team will be left unable to prohibit counterfeit merchandise like shirts, jerseys or caps, although they'll still be able to sell them themselves. Sounds like an awful lot of trouble, right? So why not get around all of it, and just pick a non-racial slur as your title? Washington ultimately ended up losing their game against the Vikings, a somewhat fitting end to their day of tumult.